Coming from a team of animation veterans from studios including Pixar, Dreamworks Animation and Blue Sky, The Book Of Mojo is a new animation project that needs your help. Creator Everett Downing originally devised it as a webcomic centring on a 13 year-old witch named Creepy and a 7-foot tall enchanted statute by the name of Mojo. The extremely positive reception Everett received from an animated promo produced for the comic has encouraged him to believe the series deserves to be animated. The mainstream US animation industry (or more accurately their executives) isn't really down with the concept of "young-adult" animation just yet, so Everett is turning to crowd-funding to make it a reality. The Indiegogo project is seeking $80,000 to produce a short as proof-of-concept which will hopefully eventually allow them to produce either a full series of a feature film. Coming from an extremely diverse production team, the project is also aiming to present characters who aren't normally represented in animation. 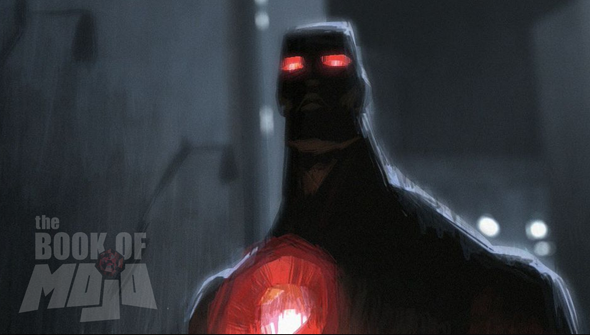 "We were inspired to animate this story after completing a CG teaser for the comic book last year" says Everett. "Many of it's viewers were not only excited by the premise, but also by the story's female lead, a strong young person of colour. As an African-American father of two girls, imagery in the media is very important to me, and diversity is something I'm excited to address in a fun and entertaining way."